The Local History team is responsible for the care and management of local history resources held by the Library relating to the Lithgow local government area. The Local History collection comprises and extensive variety of resources including photographs, vertical files, Lithgow City Council archives, community archives, newspapers and maps. There is also a genealogical resource collection that includes local oral history recordings. Many items have been catalogued and can be found using the OPAC. Search for local history information using keywords. Access to the Reference Local History Collection is available during local history area open hours. This material cannot be borrowed. There is a limited borrowing collection available. Material may be photocopied, subject to the conditions specified under the Copyright Act. The collection covers a broad range of published and unpublished material relating to the Lithgow region. It also includes selected Australian historical publications that enhance the core collection. Additional resources include electoral rolls, environmental impact statements, Lithgow local history periodicals and videos. The collection provides documentary evidence of Lithgow’s history and compliments the other resources held in the collection. The photograph collection, whilst modest in size, covers a broad subject range. There are also other community photograph collections that are accessible for research. Copies of the photographs may be purchased, if the Library holds the copyright. 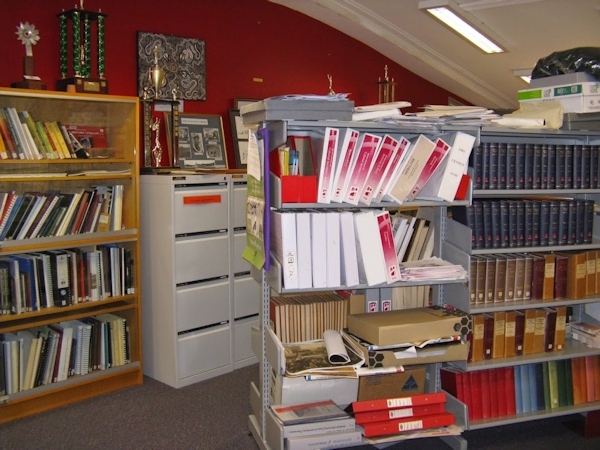 The vertical file collection covers a broad range of subjects of topical interest. These include industry and commerce, government, local organisations, recreation and biographies. There are also files with information on the townships found within the Lithgow Local Government area. The files consist of newspaper cuttings, unpublished material and other miscellaneous documents not found in the Archives and Ephemera Collections. The local newspaper collection includes the Lithgow Mercury, Portland Mercury, Lithgow Clarion and the Lithgow Times. The newspapers are in microfilm format and the library has 2 microform readers. There are also bound print copies of the Lithgow Mercury, Portland Mercury, Lithgow Clarion and the Lithgow Times. The bound copies are for preservation and are not for public access. The Lithgow Mercury is indexed on both a card file and on our automated catalogue. There is a link to the index on the OPAC which makes searching for newspaper articles easier. The archives collection comprises Lithgow Council records, Lithgow business records, industry records and other community records. The ephemera collection includes business cards, catalogues, electoral material, flyers, handbills, newsletters, pamphlets, promotional material, programs and miscellaneous documents. The folios are oversize original material that includes Lithgow Mercury supplements, supplements from other newspapers, local history information sheets, calendars and posters. The family History resources include monographs, the State Records Genealogical Kit and oral history recordings. The Lithgow Mercury has been indexed for birth, death and marriage notices. Lithgow also has a Family History Society that provides research facilities. The map collection provides valuable information for local and family history research. The maps provide information on property ownership, location of buildings, historical features and street names. The collection contains Parish maps, topographical maps, subdivision maps, township maps, street maps and miscellaneous plans. After feedback from the community, Lithgow Library will be changing the hours of opening of the Local Studies Room. From Monday 14 September 2015 the Local Studies Room will be open from 10.00am to 12.00noon Monday to Friday. Access outside of these hours will continue for users of the microfilm resources. All other access outside of these hourse will be by appointment, to ensure the Local History Officer can provide assistance. Please contact the Library Coordinator, Terry O’Keefe on 6352 9100 to discuss further or for more information. In a research project that took Mr Ian Burrett over 1500 hours 762 people have been identified to have been born or lived and worked in the Lithgow area at some time prior to enlistment in World War 1. Of those, 72 died during their service and are not named on the Cenotaph in Queen Elizabeth Park. The file below lists the names, number, rank and any awards received by the men and women who served. The numbers in the last column related to references for further information about that soldier. Please speak to the Local Studies officer for assistance with this. In 2001, Lithgow Regional Library and Bathurst City Library successfully applied for a Library Development Grant from the Library Council of New South Wales. The project titled From Coal to Gold - local information with a Regional focus brought together a project team from Lithgow and Bathurst libraries to develop the local studies collections of both library services. The Lithgow Library Learning Centre has developed an online guide to help with internet based family history research. The course explains the advantages, disadvantages and limitations as well as introducing a number of sites to help with local, State, Australian and International research. View the "Family History Online" website.